One of the nasty things we all have to deal with as we get older is wrinkles. 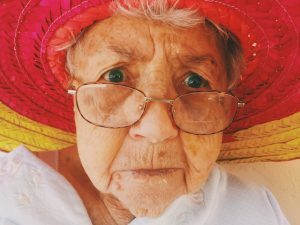 As we get older they seem to appear in more and more spots, with seemingly little care for the horrible effects they have on our confidence and self-assurance. Wrinkles form around our eyes, around our mouths, on our foreheads, on our necks and chest, and eventually all over our body on every little darn bit of skin we have. I for one am not happy with this, and like to do everything in my power to get rid of these wrinkles and try to prevent any more from appearing. The best way I have found to get rid of deep wrinkles is with wrinkle creams, and I think that good wrinkle creams are especially important for older women. I have tested so many wrinkle creams and serums over the years trying to get rid of my deepening wrinkles that I feel quite knowledgeable in this area. In this post I plan to share some my experience and what I think are the best wrinkle creams for older women that have deep wrinkles and also some tips for reducing wrinkles that I have learned along the way. As well as trying to prevent and reduce wrinkles with the best anti wrinkle products, I have also learned that the way you do your makeup can make a big difference too. My top tips are as follows. Foundation is the beginning of the make up application process for most of us so it is important to make sure that we get it right. I find that going 1 or even 2 shades darker really helps to reduce the appearance of wrinkles and fine lines. It depends on your own skin of course but I can very often get away with 2 shades darker. While concealer is meant to help hide things like bags, fine lines and wrinkles it is very easy to use it wrongly and end up making any wrinkles you have look worse than before you put makeup on. My top tip here is that less is more. I mean 2 things by this. 1 – be careful not to use too much, it will make your wrinkles look worse, and 2 – try and do the opposite of ‘rubbing it in’ if you know what I mean. If you muck around with it too much it works itself into fine lines and wrinkles and you get that creased look. Another favorite tip of mine is to try and draw attention to the eyes rather than the skin under and around them. Framing the eyes with an assertive eye liner helps to draw people’s focus into your eyes. More info in my post on Best eyeliners for older women. Makeup can only do so much for you though and I think the most important thing to do with wrinkles is to prevent and reduce them as much as possible. There are many good and bad products available to heklp with this and I will now go through some of my favorite ones. 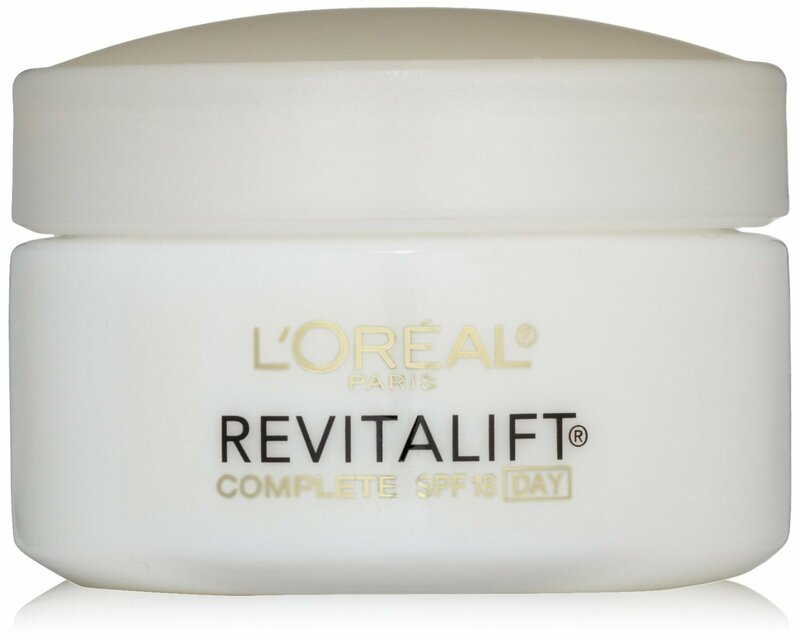 When it comes to face creams that are also anti wrinkle I think that the RevitaLift cream from L’Oreal is the leader of the pack. This is a great everyday face cream/moisturizer that is also SPF and has a light pleasant smell. It is a handy all in one that I will take away with me when I want to travel light. It is refreshing to only put one product on and out of everything I’ve tried this would have to be the best facial moisturizing cream for wrinkles I know about. For those of us on the older side like myself we need something a bit stronger to deal with our deep wrinkles. 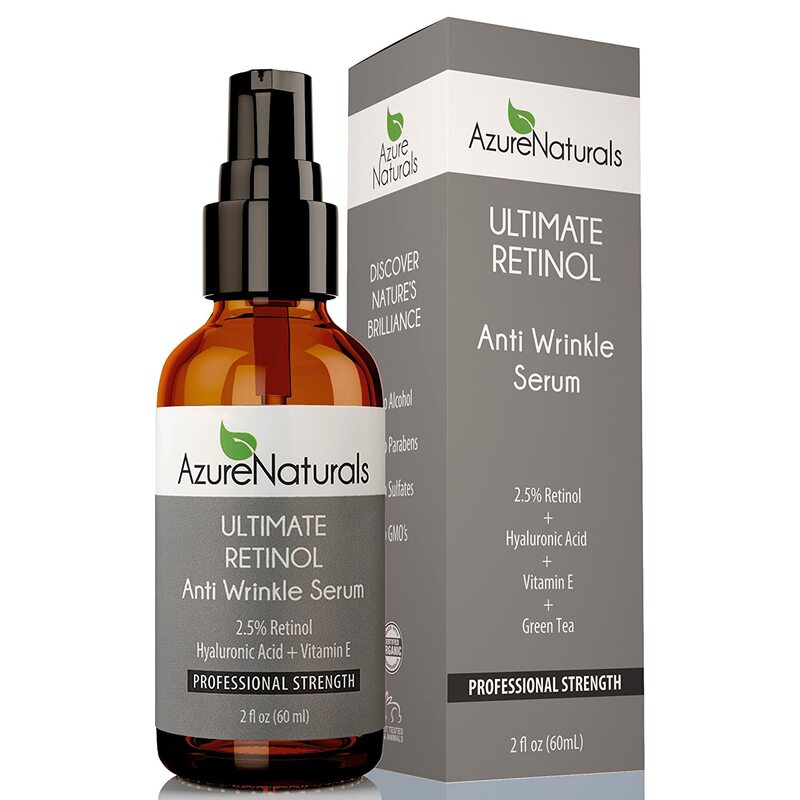 The best product I have come across is the Azure Naturals anti wrinkle serum. This is a fantastic Retinol that I swear by. It was my hair stylist that put me on to this; I noticed a difference in her face and asked her about it – I actually thought she’d had a face lift. She said that so many of her clients had told her about the Azure Naturals Retinol that she decided to try it. After seeing her results I purchased some as soon as I got home to the computer. For a dedicated night cream I can’t go past the ROC retinol correction deep wrinkle night cream. As far as I am concerned, it is exactly what it says on the label. I think there is benefit to using different brand products for day and night so that you can get the best of both creams and stop your body getting used to one or the other. Now I am not a dermatologist or anything so I don’t really know what science says about it, this is just what I think. Using something like this at night and then a moisturizing anti wrinkle cream in the day stops me getting sick of the same one as well, though it is a bit more of a hassle. When it comes to wrinkles, it is us older women that know about them more than anyone else. If you’re anything like me you also know all about finding the darkest spot in a room to avoid having our lines stand out. So for dealing with this I have saved the biggest weapon in my army for last. I would say that the best wrinkle cream for older women has got to be the Radha Beauty retinol face moisturizer. 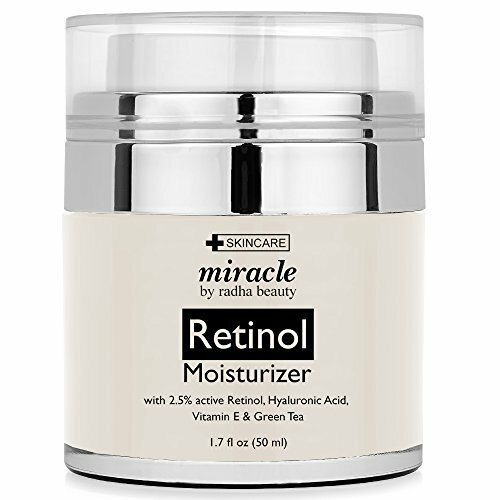 This stuff has plenty of Retinol and is gerat to use as a night cream and it is also a great moisturizer to use during the day. For women like myself that are getting lazier as we age then it is great to have 1 product for use both day and night, and though it can be boring using the one product with the one smell all the time it sure is easier. Lord knows I already have enough tablets and creams to keep track of already! Well it seems you made it all the way to the end of my post about the best wrinkle creams for older women with deep wrinkles. I hope you like it! If you have anything to add I would love to hear from you either through my Facebook, Twitter or Google + pages which you can get to by clicking the icons below, or in the comments section below that. Thanks again for reading and have a great day! Hi Mary! I think you’re my new best friend. I love your story and we have so much in common. I will be 60 this August, and it really has been hard looking in the mirror this last decade. “Seriously??! !” I would say quite often, but I decided I will NOT become bitter. I have looked into some anti-wrinkle creams, serums etc. and pretty much feel I have been scammed a couple of times. The Rahda Beauty line looks good. I think I will try it. You also motivated me with your statement, “I decided I was going to make my outside match my inside.” Thanks so much for this wonderful site Mary! You go girl! Thank you Robin, that is very sweet of you. Have a great day!